Real Estate Magnet - House Shape (3.75x6.125) - 30 mil. FULL-COLOR HOUSE SHAPE MAGNETS are one product that keeps selling long after the others have been tossed away and forgotten. 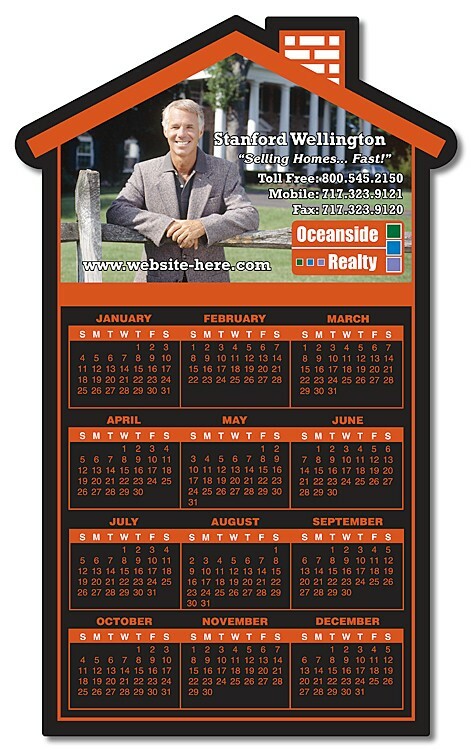 Full-color house shape magnets are an effective and low cost way to attract your customers. Personalized with your services and your contact information in full-color, house shape magnets are a proven magnetic marketing tool for keeping your message in front of your clients. 3.75 in. x 6.125 in. Magnets come with a choice of stock art - see "Click to Choose Stock Art” under Options.